Will it ever reach the finish line? 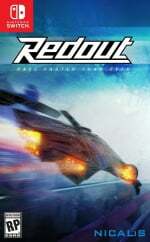 Anti-grav racer Redout was one of the first third party games to be confirmed for Switch but it's still yet to see release on Nintendo's console; not so long ago we reported that its release date was very much up in the air and it would seem that the situation hasn't changed all that much since. People who have pre-ordered the game with GameStop are reporting that their order has been cancelled "due to a change in release date." A while back Amazon had it listed for a December release, but the online retail giant now has an October 24th listing. Redout is has been available on PC since last year and launched on PS4 and Xbox One at the end of August. Is it still on your radar? Wont buy this for anything ither than Switch so its up to the publisher if they want my money or not. Yes I would like it. If it ever releases. What is it with Nicalis and release dates?There always seems to be delays with their games,especially in Europe.Not sure why any small devs go near them considering their reputation. Better that they wait and get it right. 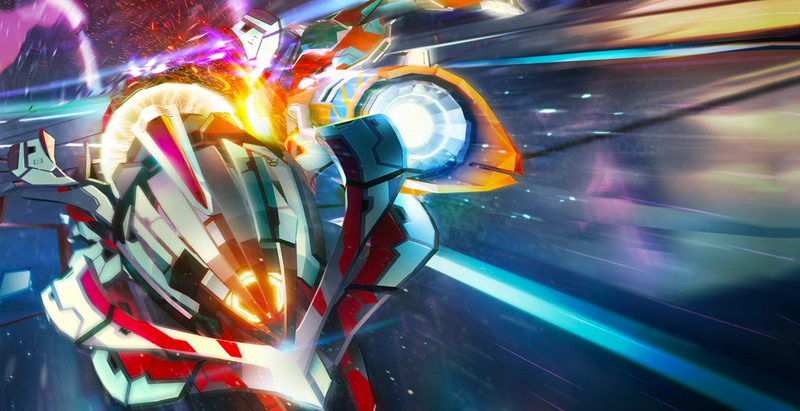 To be honest, having watched the latest video footage, Fast RMX looks much more appealing, so I'm going to be waiting on reviews either way. This got good reviews on the other formats, so I'm fairly interested. That said, as I have Wipeout on PS3 and Vita and Fast RMX on Switch I probably don't really need another anti-grav racing game. I have this on PC and love it, so I'm interested in the switch version for on the go. It's disappointing that it keeps getting pushed back - frankly it was one of the reasons I bought a Switch - but if it's just a case of them getting it right then I can wait I guess. Wow, is this ever going to come out on Switch? I still want this and only for Switch! I gave up on this game and think that it wont come to Switch so soon. I'm about to cancel my pre-order on it. It looked good when it was spring but with fall coming up I have mario+rabbids, metroid, etrian odyssey, mario odyssey, and xenoblade 2. Seems kind of pointless now. It looks great but at some point I'm just going to give up. This doesn't smell good. Come on Nicalis, at least give us a heads up. Oh well... Had a preorder for this for months at amazon. Ill just get it on the PS4. Tired of waiting. @Joytendo22 ask 34Bigthings what's up, Nicalis is only the publisher. Amazon (US) revised that release date several weeks ago. I'm disappointed because I'm looking forward to this one and now its (Amazon projected) release date is super close to Super Mario Odyssey. When I pre-ordered my Switch, the only way I could get the system was in a bundle with a few games (Zelda, 1 2 Switch, Has-Been Heroes, Binding of Isaac, and Redout). I'm pretty sure Gamestop already has all my money, and now I'm not getting a game I definitely paid for. I really just wanted my Switch, so it's not a big deal to me. But I do wonder how others feel. I'll wait for it on Switch. I'm patient. I've enough other games to play anyway. Someone should call up Nicalis about these delays. How many years ago was 90's Super GP announced? @Bunkerneath You're welcome. The code is actually quite easy to remember: just use square brackets, and in between them type youtube, a colon and the video code, which is basically everything after the = sign. If it gets pushed back after October I'm canceling. @SegaBlueSky It is fantastic on PC, and as much as I applaud the Fast RMX team for their graphics, early release, price etc... I found it lacking in festures and most importantly 'feel'/'physics' considering I'm very much in love with the original Wipeout 2097 or even the later HD style. The motion (physics) feel very sterile to me in comparison.. where'as Redout is a fair bit better in that regard. Most importantly, I can't stand the 'fake' sense of speed when using a boost where the camera focal length changes to make it look like it's going faster instead of actually just moving a lot faster.. Redout does this right, as does Wipeout..
All I'm saying, is that I felt Fast RMX is half baked and Extremely 'arcadey' when compared to the obvious competition, but Redout might be the next step... but Only if they do it right with a smooth framerate etc... because at the moment, the other console versions which were recently released, apparently have slowdown, which is very dissapointing. Hopefully they use the extra time to get it right... but I'm not super confident. @FTL That's a really interesting and useful comparison actually! I have a feeling I might get Redout on PS4 and then get Fast RMX on Switch, but we'll see. @SegaBlueSky If you have a Ps4 and haven't already tried it, I suggest taking a look at the Wipeout Omega Collection which is basically all of the Wipeout from PS3 and Vita on one disc.. and is fantastic, as well as being the games that the others are all trying to emulate, or at least, 'get inspiration' from. It seems Redout, as mentioned, isn't as good as it could be on consoles at the moment (but maybe updates will change that).